A copper alloy Roman nummus dating from the fourth century AD, probably of the House of Constantine, AD 313-364. Reverse type and mint illegible. 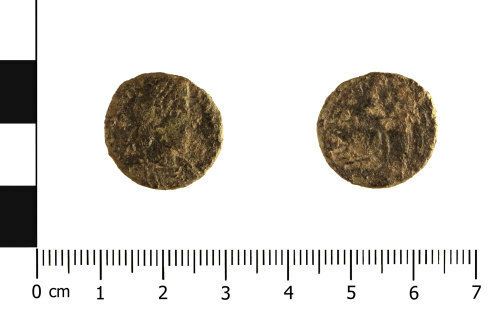 A copper alloy nummus of the House of Constantine, uncertain reverse, uncertain mint, AD 313-364.